St Andrew was born in Bethsaida, by the Sea of Galilee. His brother was Simon Peter. 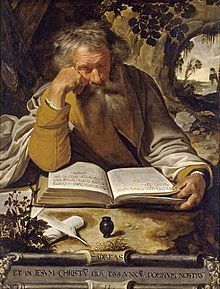 St Andrew preached and travelled afar following Jesus’ death. It’s not surprising, therefore, that he is the Patron Saint of many countries and Cities including Ukraine, Romania, Russia and Scotland. St Andrews relics were taken to Scotland around the 10th Century to the City of St Andrews. He was martyred by crucifixion for his faith and his persistent preaching of Christianity. It is said that at his request, his Cross was X-shaped (St Andrew’s cross – saltire) to acknowledge his unworthiness to meet death on the same type of cross as that of Jesus. St Andrew’s Feast Day is the 30th November.